Desktop publishing software can turn copy and media files into publishable layouts, for things such as newspapers, magazines, brochures, flyers, and books. Completed layouts can be uploaded onto a website or exported and printed onto paper or similar materials. Users can use prepackaged templates or build pages from scratch, and edit individual pages to meet the needs of each projects. Desktop publishing tools may integrate with drawing or photo editing tools, and are commonly used by the editorial and layout staff within an organization. Completed layouts can be uploaded onto a website or exported and printed onto paper or similar materials. Desktop Publishing reviews by real, verified users. Find unbiased ratings on user satisfaction, features, and price based on the most reviews available anywhere. 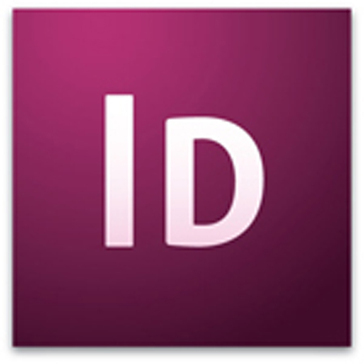 Adobe InDesign is a versatile desktop publishing application that gives you pixel- perfect control over design and typography. Microsoft Publisher is an entry-level desktop publishing solution. 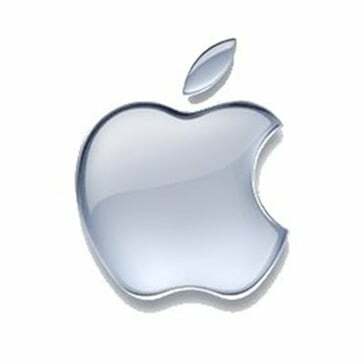 iBooks Author is an amazing app that allows anyone to create beautiful iBooks Textbooks and just about any other kind of book for iPad and Mac. Tell your story & present your data with beautiful infographics. Venngage empowers you to easily create infographics, presentations, social media posts and other visual designs with thousands of customizable templates, charts, icons and design elements. With a few clicks, anyone can create beautiful visuals for their business, organization or school. Venngage's mission is to make design accessible and to change the way the world communicates. We cater specifically to your unique design needs and offer thousands of professional templates including infographic, report, flyer, poster, presentation, white paper, resume, and social media templates! Crello is an online tool for easily creating videos and graphic designs, for social media, print, or any other web-based graphics by using a huge collection of already designed templates and video/photo content. Start with one of 20,000 pre-loaded modern templates, add your texts, images, and brand elements. Upload own photos or use free stock images, backgrounds, and clipart. With Crello anyone can become a creator with no special training. Whether you need to create technical documentation for online Help, software and API documentation, policy & procedure manuals, knowledge bases or user guides, MadCap Flare allows you to create, manage and publish content to a variety of formats, including print, online, desktop and mobile. ArcGIS Explorer Desktop is a free viewer that gives you an easy way to explore, visualize, and share GIS information. FrameMaker is one of Adobe's desktop publishing offering and a piece of Adobe's Creative Suite of design products. We make cool software that helps your creative side. Oracle BI Publisher is the reporting solution to author, manage, and deliver all your reports and documents easier and faster than traditional reporting tools. The Print Shop is your one-stop digital design solution, offering the widest range of design & layout tools available for the everyday user, including page layout, photo editing, graphic design and more. Scribus is an open source alternative for entry-level desktop publishing. ArcGIS Maps for Adobe Creative Cloud is ideal for design and communications professionals.It gives access data-driven maps inside Adobe Illustrator and Photoshop. ArcReader is a free, easy-to-use desktop mapping application that allows you to view, explore, and print maps and globes. iStudio Publisher is a powerful and intuitive page layout application for desktop publishing on Mac computers. It's ideal for designing a wide range of document types, including newsletters, brochures, adverts, flyers, booklets, invitations, menus, reports, posters, greetings cards, and yearbooks. Start with a professionally designed template or blank document of any size and produce beautiful, professional quality documents with ease. Export finished documents as PDF files or print them out. Please take advantage of the 30-day free* trial of iStudio Publisher available here: http://www.istudiopublisher.com/downloads/ * Try iStudio Publisher without entering any payment details. The 30-day free trial provides full functionality and no watermarks! After your 30-day trial expires any documents you have created during the trial will remain available to open and view - simply purchase a licensed copy to reenable the options save, print, and export. The fast, easy and fun way to create spectacular print projects. Smore provides tools to design online flyers and newsletters. InPage Urdu is the industry standard tools for page-making of Newspapers, Magazines & Books in Urdu/Arabic languages. Page layout and desktop publisher for Mac. This software provides all you need to create effective desktop publishing materials, such as flyers, brochures, catalogs, magazines, booklets, newsletters, calendars, posters, menus, cards, Facebook and Twitter covers, ad banners and many more. Atavist provides a suite of publishing tools to tell stories and build websites. Simply and rapidly publish high quality digital magazines, interactive retail catalogues or the full spectrum of business documentation to both web and apps. FlowPaper is a web based PDF viewer and digital publishing platform that allows user to take PDFs to the web in a responsive and friendly way that fits your PDF. The people who bring you Xara graphics and web design software. Altova® is a software company specializing in tools that assist developers with data management, software and application development, mobile development, and data integration. Data Appliance for ArcGIS enables you to create, publish, and share map services with colleagues securely behind your firewall. It connects directly into your internal network and comes preloaded with terabytes of global basemaps and reference layers. GraphicSprings is a web based graphic design solution that allows users to create their own brand free. Leanpub is a powerful publishing platform for serious authors. Oxygen XML Editor provides a comprehensive suite of XML authoring and development tools. PageSuite offers cross-platform digital publishing solutions. Quark DesignPad is an iPad app that uses layout templates to create grid-based designs that can help to present and share the ideas right on the iPad. Quark Publishing Platform is a customer communication solution to automates the publishing process, automatically enable the assembly of content for different audiences, improves customer satisfaction and lowers costs. The Turn-Page digital publishing software has the mission of giving life to a publication! Xara Cloud is the easiest way for businesses to create high-quality professional documents without any design experience needed. Create stunning presentations, social media graphics, flyers, business cards and more in minutes. With an easy to use drag and drop web-based editor, Xara Cloud includes an advanced branding toolkit to help businesses achieve brand consistency and collaboration features that allow multiple users to work on the same documents at the same time to boost productivity. Youzign offers design tools to create graphics for ads, social media covers, banners, videos etc. iDesigniBuy offers Web to Print Solutions, an all-in-one designer tool capable of personalizing caps, mugs, stamps, Laptop skins and others. Art Explosion Publisher Pro 3.0 is the fastest, easiest way to create documents with impact. From single-page flyers to multi-page brochures and newsletters, this new edition, with hundreds of new features, has all of the powerful tools and ready made templates you need to turn out spectacular publications. Whether you're printing to your own inkjet printer or plan to prepare a document for professional printing, this versatile desktop publishing software puts innovative text, graphics and page layout options right at your fingertips - all in one easy-to-use program. Assembly is a graphic design application enabling users to create icons, logos, and scenes using a building block approach to design. Banjo gives you a complete contro over printed materials and deliveres the final assets wherever and whenever they're needed. It removes the hassle from data-driven print and fulfillment-whether for marketing or operations. The Biblio suite of software runs the publishing processes for some of the world’s leading publishers. Customized and tailored for every type of publishing, Biblio supports the business needs of all publishers from academic, scholarly and professional to trade and children’s novelty book publishers and supports their complete end-to-end process from ideation and modelling to final publication and post-publication analysis. Our Biblio suite of publishing systems runs the processes for some of the world's leading publishers, including Penguin Random House, Hachette UK, Pearson Education, Pan Macmillan, Harvard University Press, Bloomsbury and a number of high-profile independents. Fully scalable to suit publishers of any size, with options for a standard, out-of-the-box setup or bespoke implementations, the Biblio suite is available as Software as a Service or an installed solution. Hi there! Can I help you find the best Desktop Publishing solutions?